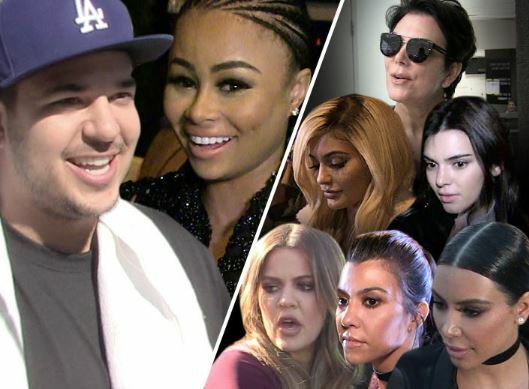 TMZ reports that supposedly the Kardashians are supporting their brother but upset that the feud has escalated to posting naked pictures of Blac Chyna on the social network. Rob Kardashian expressed his anger after Chyna sent him a video of her and another man. Well, there’s two men involved!! Kardashians claim this mess can damage their brand and hurt Dream, his 7-month hold daughter. But what about the many naked pictures of the Kardashians and all, but Khloe, have children. Blac Chyna Disses Tyga VIA Twitter After He Dumps Her!